OK, maybe the red eyes gives you the creeps but that is what Halloween is about, right?. The following stamps used, are available as sets or singles. 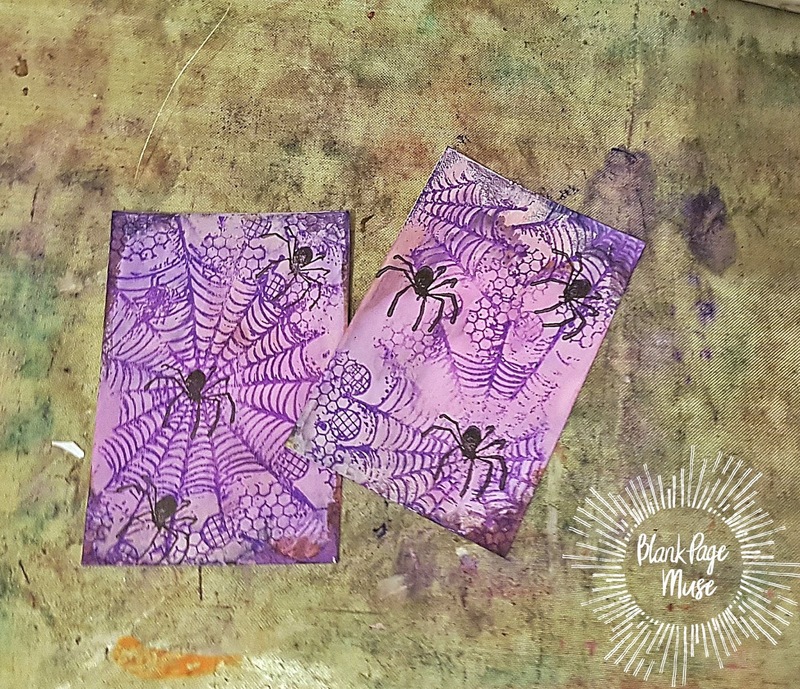 ATC card blanks, Purple spritz ink, black ink pad, colored markers, googly eyes and Halloween embellishments. 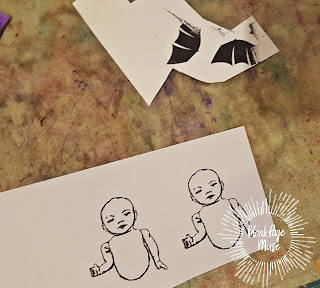 Scissors, adhesive and double sided tape. 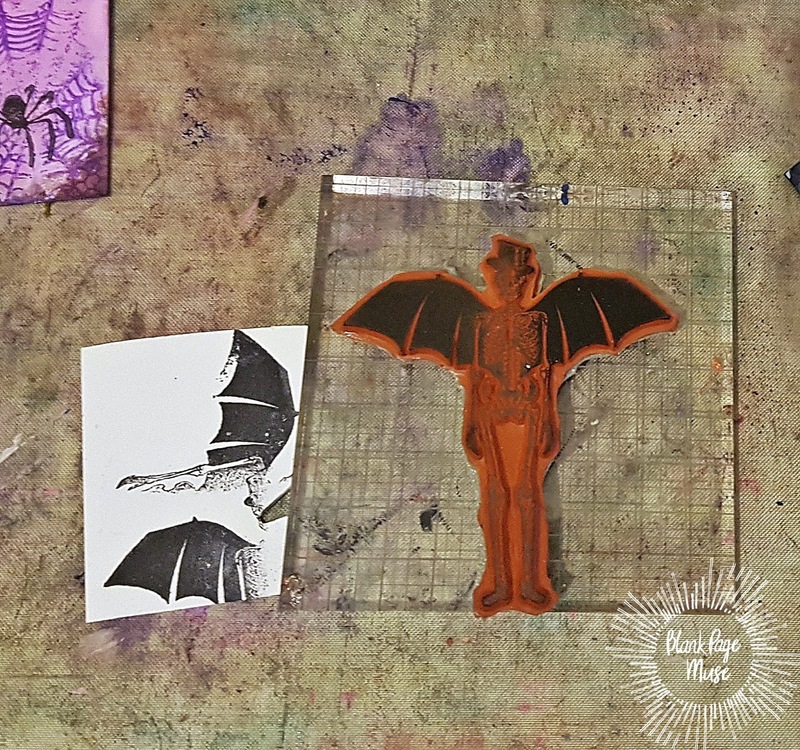 Start off by using a make up sponge to dab on purple ink and then spritz another ink over the top. 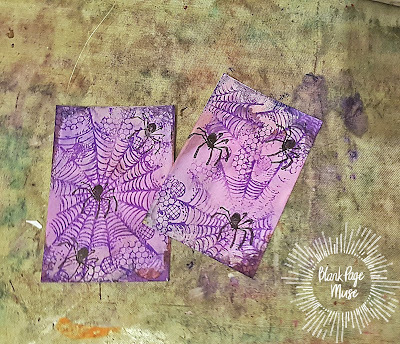 Once dry,stamp over the top in black ink with the Grunge Cobwebs stamp and then take a small spider stamp and add it ti the cobwebs. 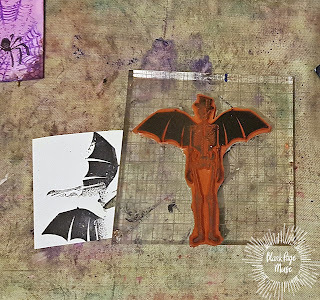 To create the wings, take the large winged skeleton from the Halloween Bingo set and ink just the wings and stamp them out onto card. Stamp out the dolls onto white card and colour in with pencils or markers. Cut everything out and use a small amount of double sided tape to attach the wings to the back of the dolls. Add small print out hats, spooky words and gems to finish. Thank you for visiting and please follow us on social media! LOL just too spooky cute Katie! So much fun love these babies! Creepy cool Katie!